For reference, I posted this on the Agora blog. 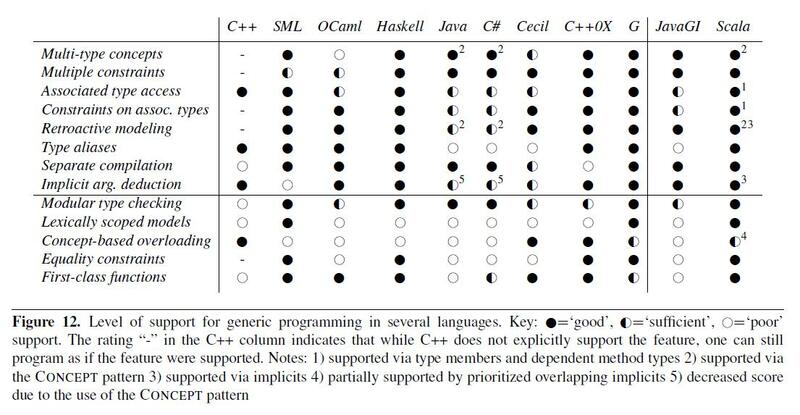 I found this cool table on page 17 of this paper (Type Classes as Objects and Implicits) on typeclasses. Click on the image to enlarge.